Vinegret Hostel v Moskva, Rusko: Zarezervujte nyní! 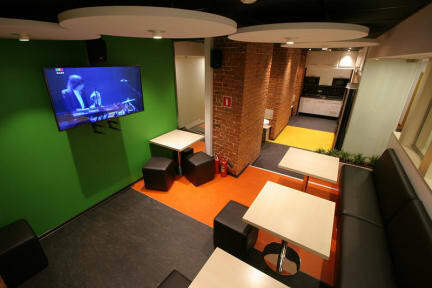 Vinegret Hostel offers guests comfortable rooms and dorms equipped with centralized air conditioning and ventilation. All 4 and 8 bed dorms equiped spacious bunk beds with orthopedic mattresses. Double rooms have TVs . All rooms equipped with personal safes. All beds have individual lighting and sockets. In stylish living room you can enjoy a cup of coffee and watch TV. Bed linen included in the price. Free WiFi in the entire hostel. Friendly staff will introduce you to the nearest sights of Moscow and provide info about current cultural and nightlife events. Check in from 15:00 to 23:59. All occupants 14 years of age and older, minors must be accompanied by adults. Fee for using of bedding included in price. The presence of unauthorized persons in the hostel is strictly prohibited.